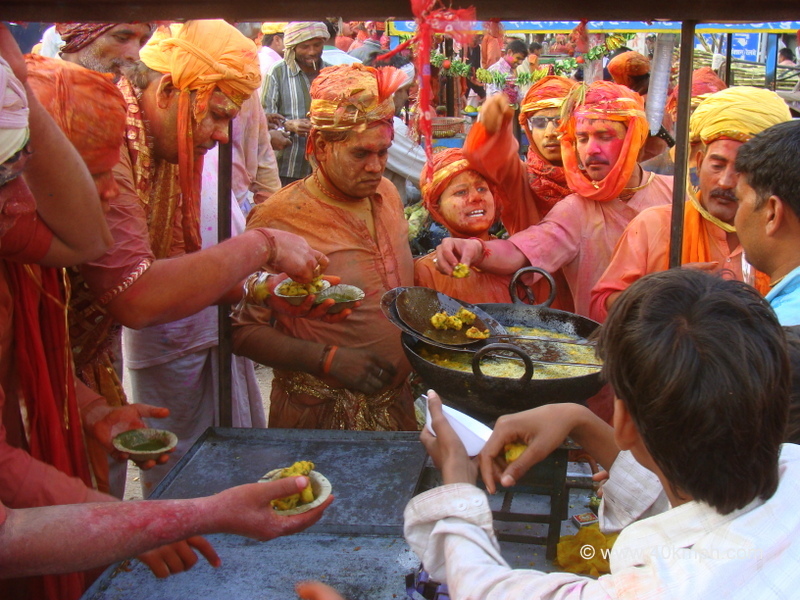 Samaj Gayan is community singing Holi verses (à¤›à¤‚à¤¦). 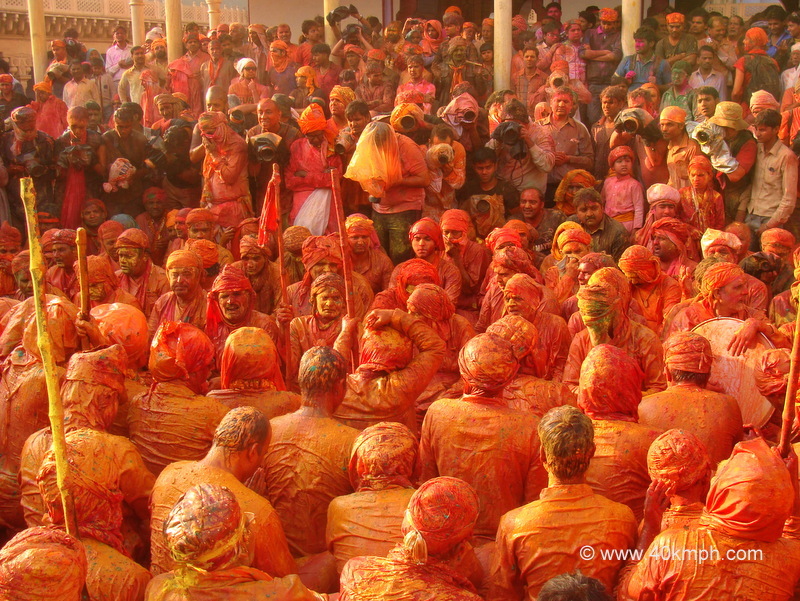 Huriyare are men from Barsana and Nandgaon traditionally dressed to play Lathmar Holi. 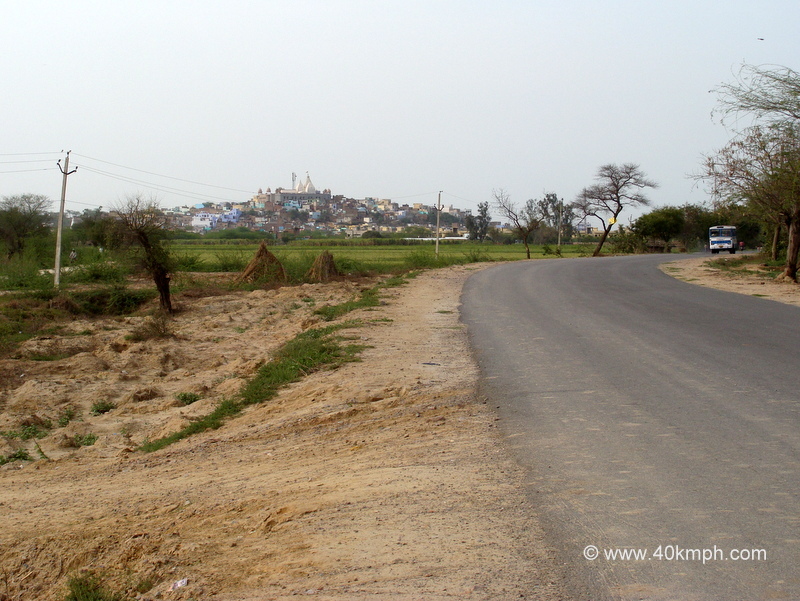 This photo was taken at Barsana Nandgaon road, Uttar Pradesh.